Ariel Yearbooks, 1897-1911: This is an addition to our existing collection of yearbooks online, which was previously a selection of one yearbook from each decade roughly 1890-1950. 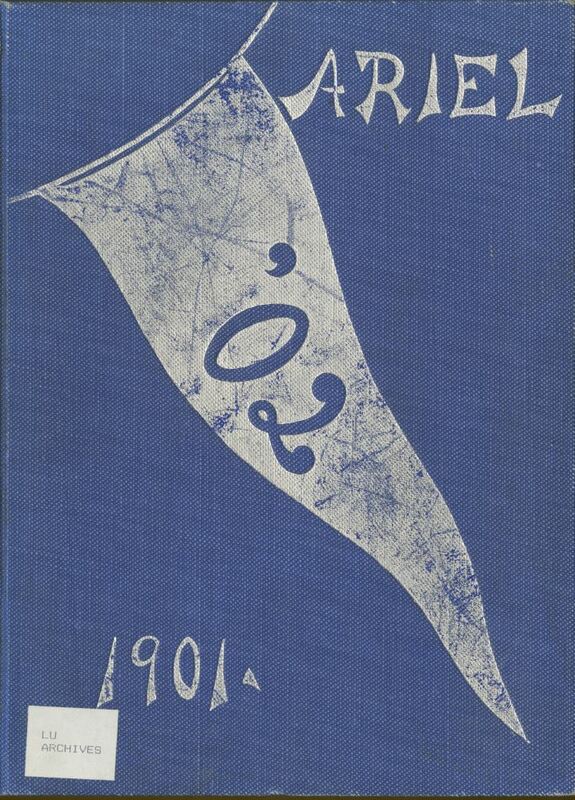 This represents the start of an ongoing effort to digitize all yearbooks, starting from the earliest years. The Lawrentian, 1964-1965, 1995-1996, and 2007-2008: Our very popular online collection of The Lawrentian was mostly scanned from microfilm at the Wisconsin Historical Society. But these three years, along with some other sets of issues, were missing from that set. The gaps in coverage are now filled. “A Study of Social Conditions in Appleton, Wisconsin,” 1911: This work contains a fascinating series of essays written by students enrolled in an “American Cities” class at Lawrence in the spring of 1911. It was digitized from a photocopied typescript owned by the Appleton Public Library. Elizabeth A. Richardson diary, 1945: Elizabeth Richardson, MDC ’40, served with the Red Cross in a Clubmobile unit in England and France during World War II. She chronicled her experiences in this diary. These collections are largely the result of a great deal of (often very tedious) work by Archives student assistants Carolyn Ford ’19, Emma Lipkin ’19, and Robert Desotelle ’18. Many thanks to each of them for their efforts!